Finding your horoscope requires you to compare the month and date of your birth to the Zodiac dates and the signs that go with them. From Aries to Pisces, each sign has its own characteristics and quirks, and all you have to do to learn yours is look it up here. From the speed of the planets, to retrograde periods, to a host of planetary conjunctions, oppositions and trines, a lot of factors influence the zodiac! 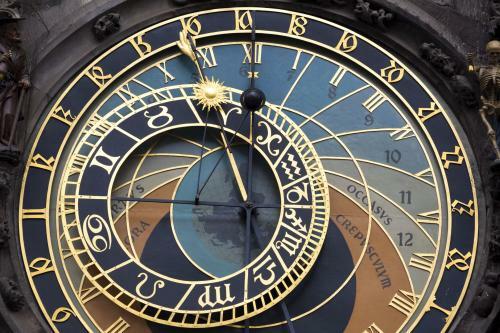 The one mainstay, at least up to this point, has been the actual zodiac dates. Let's take a closer look! Are There New Horoscope Dates? Firstborn Aries is cardinal fire and takes center stage, most fittingly, at the start of spring. From March 21st to April 19th, the ram rules supreme. Spring is a time of new beginnings, and fresh starts; all traits that Aries fully embodies. Aries is ruled by the planet Mars. From April 20th to May 20th, Taureans celebrate their birthday. Ruled by Venus, Taurus brilliantly reflects the new and sustained bounty of spring. Taurus is a fixed earth sign. May 21st to June 20th is Gemini's time of the year. If Aries is too busy to stop and smell the roses, and Taurus is taking a leisurely stroll through the park, Gemini wants to talk about all those gorgeous flowers! Gemini is ruled by Mercury and is a mutble air sign. To the ancients, Cancer symbolized the summer solstice, and for them, the time of the year that represents the soul's entry into the human body. 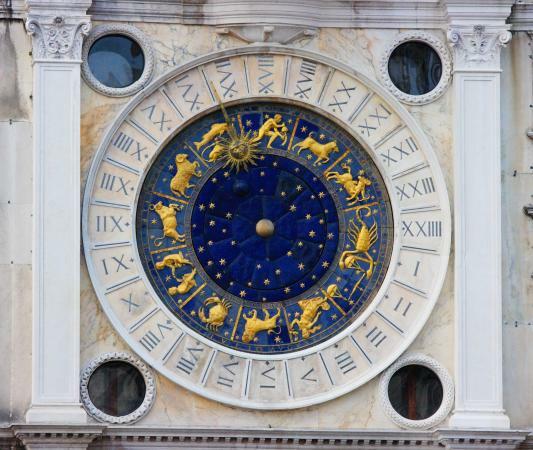 The official zodiac date for this sign is June 21st to July 22nd. Cancer is ruled by the Moon and is cardinal water. Leo's creativity reigns from July 23rd to August 23rd. It makes sense, therefore, that this summer baby rules the fifth house of the zodiac; the house of pleasure, romance and creativity. Leo is fixed fire and ruled by the Sun. Born during the time of the harvest, Virgos excel at production. From August 24th to September 22nd, it's Virgo's role to show us what's valuable and what is not. Viro is ruled by Mercury and is a mutable earth sign. The social winners of the zodiac, Libra rules the sky and charts from September 23rd to October 22nd. It is in Libra, and it is during this part of the year, that the solitary figure discovers the other. Libra is cardinal air ruled by Venus. Scorpio's guiding principle is "I probe" and from October 23rd to November 21st, they do! This is the time of the year to look beneath the surface to see what's really there. Is it any coincidence then that Halloween falls under Scorpio's domain? Scorpio is ruled by Pluto and is a fixed water sign. If Halloween is a deep, dark and mysterious holiday, it stands in direct contrast to the bountiful, joyous and often boisterous Sagittarian ruled Thanksgiving. Sagittarius, therefore, is prominent from November 22nd to December 21st. Sagittarius is mutable fire ruled by Jupiter. Capricorn, December 22 to January 19, finds joy in achieving honors for their contributions to the community, and it's through leadership, vision and the setting of practical goals that their accomplishments are realized. Is it any wonder then that this sign ushers us through both Christmas (the act of giving and receiving material goods) and New Year's (the setting of new goals for a new year)? Capricorn is cardinal earth ruled by Saturn. Innovative and forward thinking, Aquarius's time of the year is from January 20th to February 18th. It's interesting to note that both Groundhog Day and Valentine's Day are ruled by Aquarius. This zodiac sign is ruled by Uranus and is fixed air. From February 19th to March 20th, our favorite resident fish rules the sky. Pisces tries hard not to focus on money or status symbols, but rather on eternal truths and the universality of the human spirit. Pisces is mutable water ruled by Neptune. There's sometimes a lot of confusion surrounding cusp dates (when one sign ends and another begins), but there really doesn't have to be. People born on the cusps are born at the beginning or end of a zodiac period as it moves from one sign to another. Another suggestion from astrologers is to simply recognize that it is" possible to carry traits from both signs. For example, if you were born on June 21st, it's quite possible that you have the inquisitive nature of a Gemini, and the motherly instinct of Cancer. This concept is not as far stretched as it may seem. We do the same thing when it comes to our sun signs and rising (the ascendant) signs. Think of it like this: if the sun sign is fundamentally who you are, then the ascendant is the prism through which that light shines. Your Zodiac sun sign tells you which house the sun was in on the day you were born. It is one aspect of astrology, but you're more than your sun sign. You also have characteristics based on where other planets and astral bodies were at the moment you were born, which makes up your entire astrological picture. These are all important aspects in determining who you are.